This oil painting was iNsPiReD by beautiful sunflowers. This summer I keep noticing sunflowers everywhere that I go. I can't help but to aDmIrE their beauty. This admiration led me to desire to witness a field of sunflowers. I looked up the closest sunflower field to my home, but unfortunately it is four hours away. 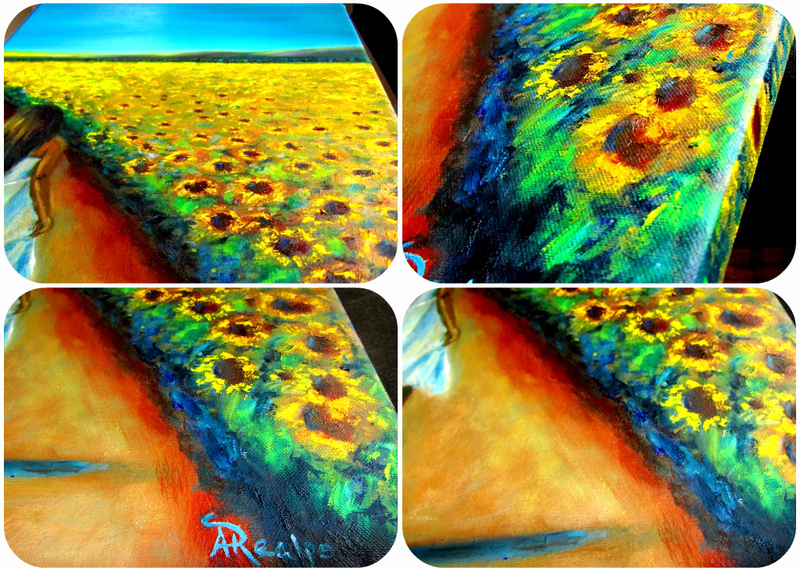 However, instead of venturing away on this four hour trip, I decided to bring the sunflower fields to LiFe on my canvas. I also painted the figure and the landscape with bright DrEaM like features with a beautiful sunset over the mountains. It is also painted in an impressionistic style similar to Vincent Van Gogh's sunflowers. 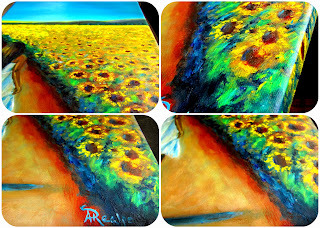 The sunflowers are painted with the tip of my paint brush with heavy impasto. The figure is day dreaming of this BeAuTiFuL scenery where he or she can can ImAgInE this beauty at any given moment. 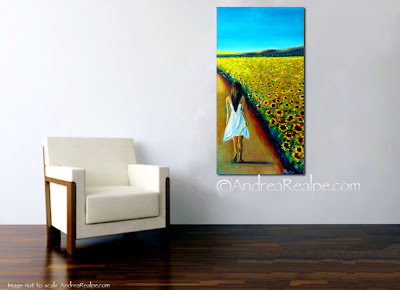 With this painting I would like to bring sunflowers into your day dreams.